Cute fit! Love the utility vest! Love the vest, I have yet to get one. Glad you're feeling better. I love a vest! They're so versatile. Lovin' the stripes and the bag! :) So cute! Love the stripes with your cute vest and leggings. You look comfortable and it's good that you are feeling better! SO comfortable, yes! Thanks for stopping by. Adorable! Love a good layered look...and the Jenny necklace is presh! Yes! That's why I liked it. It's not a color you normally see for a utility vest. SO cute, I love the vest! This is the perfect casual outfit. Love your layered monochrome look! 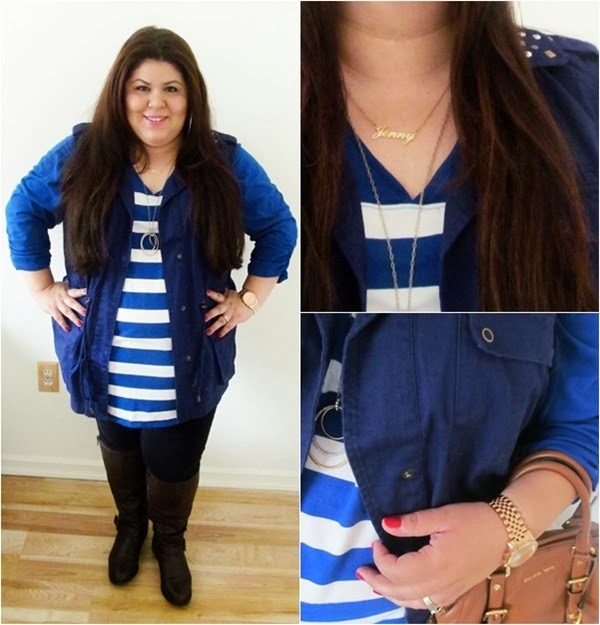 LOVE the stripes and you can't go wrong layering with a cute vest! Looking good mama!